Or, get it for 80800 Kobo Super Points! 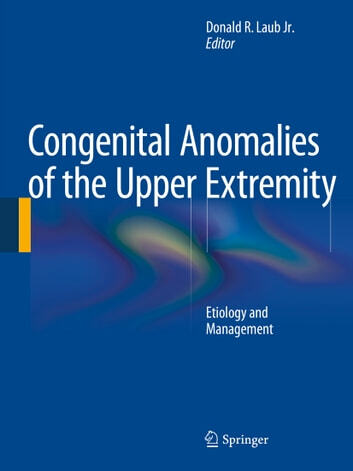 Written by leading experts in the fields of pediatrics, orthopedic surgery and plastic and reconstructive hand surgery, Congenital Anomalies of the Upper Extremity encompasses the current knowledge of genetic and molecular causes of and surgical and non-surgical treatment for, deformities of the hand. 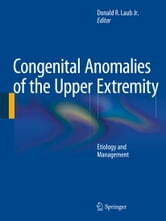 The book* *covers the many variations of congenital anomaly encountered in the clinical setting. Embryology, classification, incidence and anesthesia considerations are discussed first, followed by physical medicine, rehabilitation and therapy management, including psychological considerations, for children living with these conditions. Failures of formation and differentiation of the fingers and hand plate, duplication, and overgrowth, as well as other generalized anomalies, are then presented in detail, including symbrachydactyly, syndactyly, Apert syndrome, polydactyly, amniotic band syndrome and Madelung deformity, among others. Complete with plentiful photographs and illustrations to guide the clinician in preparing for and performing the necessary treatments, this is an essential book for hand surgeons, orthopedists and plastic surgeons.